This is a beautiful Swarovski crystal baroque pearl bracelet with a Romanesque look. Swarovski makes a luscious crystal pearl, and this shape is beautiful, but if you prefer round pearls that is always an option. 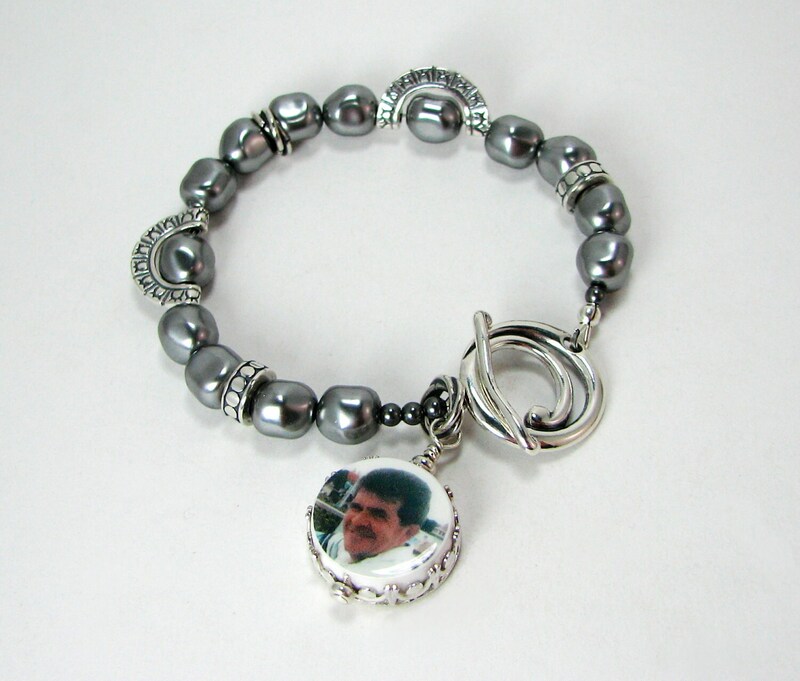 This bracelet can be custom ordered between 6" to 8". 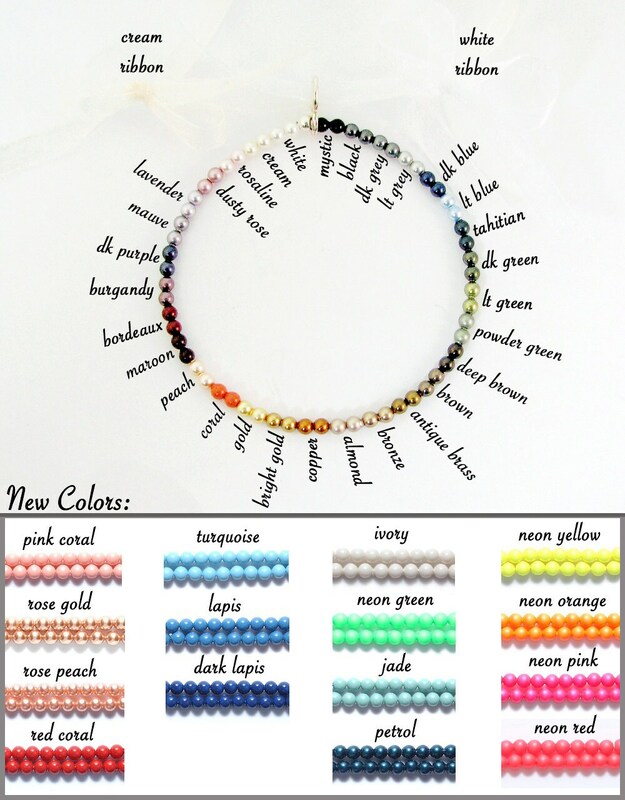 You can order it in a pearl color that matches your images, or your wedding colors. Choose your favorite color from the options below and include it with your image(s). 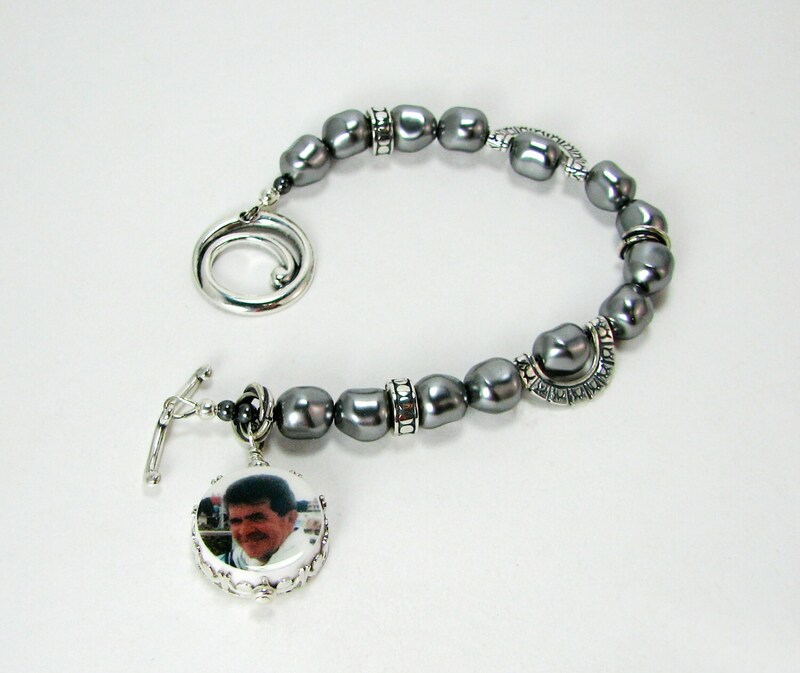 This bracelet includes a framed XSM (.65"), two-sided photo charm and a sterling toggle clasp. It is also available un-framed by request; as shown in the last photo. Once you place your order, email your image(s) as an attachment to DJD [!at] Q.com. If you want to work with a photograph instead of a digital image simply email me for mailing instructions. Almost all of my tiles are two-sided, and you can use two images, or request a custom designed text side at no additional cost. Just include your desired text with your image. For special handwritten notes, messages, or cards, if you can photograph or scan it, I will do my best to preserve the important parts for you in a photo tile.